As your Board Chairman, I am honored to acknowledge this as the 80th anniversary of Tulare County Federal Credit Union. Founded on April 15, 1939 as a credit union for school employees, I am so proud of how far we have come. We have grown to serve all residents of Tulare County, and today we have more than 10,000 members with almost $100 million in assets. I would like to take this opportunity to thank you for your loyal membership. As a member-owned financial institution, we are here to work with you, side-by-side to build a bright financial future for you and your family. The financial services industry is crowded, you have numerous options, and the Board understands that the credit union needs to be competitive to attract and retain your business. I hope that you feel we are listening to your needs. In addition, I would like to thank the Board of Directors for their work this past year and their dedication to Tulare County Federal. Finally, we sincerely appreciate the Management and Staff who continue to provide excellent service to our members. 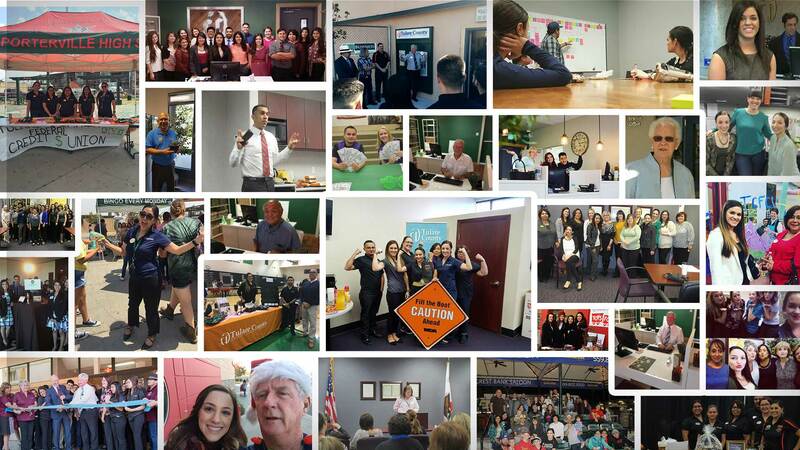 Here’s to the next 80 years where, at Tulare County Federal, you are more than a member to us, you are a partner. Member Appreciation Week, April 15th – 19th. Join us in any branch for swag giveaways and refreshments. Annual Meeting, Wednesday, April 17th in the Tulare Corporate Office Board room at 12pm. Join us for lunch as we review last year's accomplishments. Member Appreciation Rawhide Baseball game, Saturday, April 20th at 7pm. All members are welcome to attend a Rawhide baseball game for FREE! Simply show proof of membership such as your debit/credit card, statement, loan coupon, etc. Weekly $80 Social Media Giveaways, during April. Be sure you are following us on Facebook and Instagram to enter a chance to win $80 - we'll be using the #tcfcu80 hastag. We want to hear your Tulare County Federal Credit Union story $800 Sweepstakes. One lucky Credit Union member will win $800! To enter, briefly share your Credit Union story below. We want to hear how we’ve helped you meet a financial goal or how you found us.